The Indian Rebellion of 1857 began as a mutiny of sepoys of the East India Company`s army on 10th May 1857, in the town of Meerut, and soon escalated into other mutinies and civilian rebellions in the upper Gangetic plain and cental India, with the major hostilities confined to present-day Uttar Pradesh, Bihar. northern Madhyh Pradesh., and Delhi region. The rebellion posed a considerable threat to Company power in that region, and was contained only with fall of Gwalior on 20th June 1858. The rebellion is also known as India`s First War of Independence, the Great Rebellion, the Indian Mutiny, the revolt of 1857, the Sepoy Rebellion and the Sepoy Mutiny. The Mutiny was a result of various grievances, however the flashpoint was reached when the soldiers were asked to bite off the paper cartridges for their rifles which they believed were greased with animal fat, namely beef and pork. This was, and is, against all the religious beliefs of Hindus and Muslims, respectively. Other regions of Company- controlled India – such as Bengal, the Bombay Presidency and the Madras presidency – remained largely calm, In Punjab, the Sikh princess backed the Company by providing soldiers and support. The large princely states of Hyderabed, Mysore, Travancore and Kashmir, as well as the smaller ones of Rajputana, did not join the rebellion. In some regions , such as Oudh, the rebellion took on the attributes of a patriotic revolt against European presence. Maratha leaders, such as Lakshmibai, the Rani of Jhansi, became folk heroes in the nationalist movement in India half a century later; however, they themselves ” generated no coherent ideology” for the new order. The rebellion led to the dissolution of the East India Company in 1858. it also led the British to reorganize the army, the financial system and the administration in India. The country was thereafter directly governed by the crown as the new British Raj. 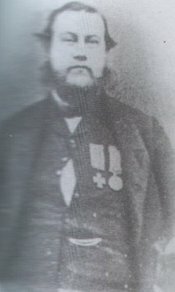 Henry Addison was about 37 years old, and a private in the 43rd ( Monmouthshire ) Regiment of Foot (later The Oxfordshire and Buckinghamshire Light Infantry) of the British Army during the Indian Mutiny when the incident for which he was awarded the VC took place on 2 January 1859 near Kurrereah, India. 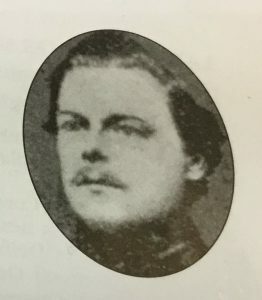 Addison was recommended for the VC in a dispatch from Lieutenant-Colonel F. Gottreux, “commanding Field Detachment, to the Assistant Adjutant General Saugor Field Division on January 15, 1859”. “ Whilst in the neighbourhood of Kurrereah… chasing retreating mutineers… Lieutenant Osborne, Political Agent of Rewab, was wounded by a sword cut on the right hand. He was at the time he was attacked, closely followed by three men of the 43rd Light Infantry, two men of the artillery being a few paces in front of him. Private Henry Addison, of the 43rd Light Infantry, seeing him attacked and on the ground, rushed forward to defend and cover him in a most gallant manner. In doing this, I much regret having to record, that he received two very severe sword cuts, one on the left leg which rendered immediate amputation of the limb above the knee necessary, and another causing compound fracture of the left fore-arm. The heroism displayed by Private Addison in thus placing himself between Lieutenant Osborne and his assailant at the critical juncture he did, thereby saving that officer’s life, may, I hope, be deemed worthy of the Victoria Cross, for which honour I earnestly beg to recommend him. “ GENERAL RETURN of Casualties at the Engagement at Kurrereah, 2nd January, 1859. ” Private Henry Addison. Date of Act of Bravery 2nd January, 1859. For gallant conduct on the 2nd of January, 1859, near Kurrereah, in defending, against a large force, and saving the life of Lieutenant Osborn, Political Agent, who had fallen on the ground wounded. Private Addison received two dangerous wounds, and lost a leg, in this gallant service. Valentine was a recipient of the Victoria Cross, the highest and most prestigious award for gallantry in the face of the enemy that can be awarded to British and Commonwealth forces. “ For conspicuous bravery at Bareilly, on the 6th of May, 1858, when in a Serai, he was attacked by three Ghazees, one of whom he cut down. He was wounded twice on this occasion. 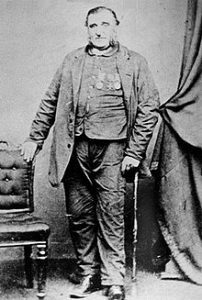 John Divane VC (Also known as DEVINE and DUANE) (November 1823 – 1 December 1888) was an Irish recipient of the Victoria Cross, the highest and most prestigious award for gallantry in the face of the enemy that can be awarded to British and Commonwealth forces. For distinguished gallantry in heading a successful charge made by the Beeloochee and Seikh Troops on one of the Enemy’s trenches before Delhi, on the 10th of September, 1857. He leaped out of our trenches, closely followed by the Native Troops, and was shot down from the top of the Enemy’s breastworks. Elected by the Privates of the Regiment. He was born in Carrabane, County Galway and died at 1 New Street, Penzance, Cornwalll on 1 December 1888 and is buried in Penzance cemetery. Apparently only semi-literate, Duane put ‘the tail’ on the wrong side of his ‘u’ on his signature, which led to confusion about the correct spelling of his surname in official records. 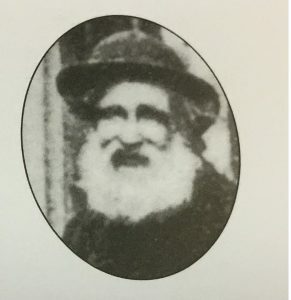 Duane is one of several soldiers from Carrabane (modern Kilconierin-Lickerrig-Clostoken parish) to fight with distinction in theatres of war throughout the nineteenth century. Stephen Garvin VC (1826 – 23rd November 1874), born in Cashel, County Tipperary, was an Irish recipient of the Victoria Cross, the highest and most prestigious award for gallantry in the face of the enemy that can be awarded to British and Commonwealth forces. For daring and gallant conduct before Delhi on the 23rd of June, 1857, in volunteering to lead a small party of men, under a heavy fire, to the ” Sammy House,” for the purpose of dislodging a number of the Enemy in position there, who kept up a destructive fire on the advanced battery of heavy guns, in which, after a sharp contest, he succeeded. Also recommended for gallant conduct throughout the operations before Delhi. He died Chesterton Oxfordshire 23rd November 1874 and is buried in Chesterton Cambridgeshire (not Oxfordshire). The medal in private ownership. David Hawkes VC (1822 – 14th August 1858) was an English recipient of the Victoria Cross, the highest and most prestigious award for gallantry in the face of the enemy that can be awarded to British and Imperial forces. Robert Hawthorne VC (1822 – 2 February 1879) born in Maghera, County Londonderry was an Irish recipient of the Victoria Cross, the highest and most prestigious award for gallantry in the face of the enemy that can be awarded to British and Commonwealth forces. He died in Manchester, Lancashire on 2 February 1879. 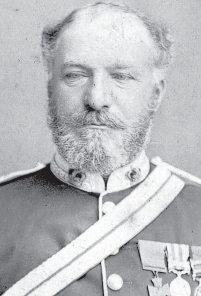 Colonel Alfred Spencer Heathcote VC (29th March 1832 – 21st February 1912) was an English recipient of the Victoria Cross, the highest and most prestigious award for gallantry in the face of the enemy that can be awarded to British and Commonwealth forces. ” For highly gallant and daring conduct at Delhi throughout the Siege, from June to September, 1857, during which he was wounded. He volunteered for services of extreme danger, especially during the six days of severe fighting in the streets after the Assault. Elected by the Officers of his Regiment. 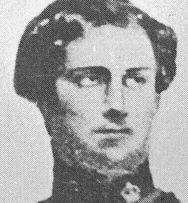 William Nash VC (23rd April 1824 – 6th April 1875) born in Newcastle, County Limerick he was an Irish recipient of the Victoria Cross, the highest and most prestigious award for gallantry in the face of the enemy that can be awarded to British and Commonwealth forces. On the 11th of March 1858 at Lucknow, India, Corporal Nash’s company was engaged with a large number of the enemy near the Iron Bridge. At one stage a captain ( Henry Wilmot ) found himself at the end of a street with only four of his men opposed to a considerable body of the enemy. One of the men was shot through both legs and Corporal Nash and a private ( David Hawkes ) (who was himself severely wounded) lifted the man up and they then carried him for a considerable distance, the captain covering the retreat of the party. Everard Aloysius Lisle Phillipps VC (28 May 1835 – 17 September 1857) was an English recipient of the Victoria Cross, the highest and most prestigious award for gallantry in the face of the enemy that can be awarded to British and Commonwealth forces. 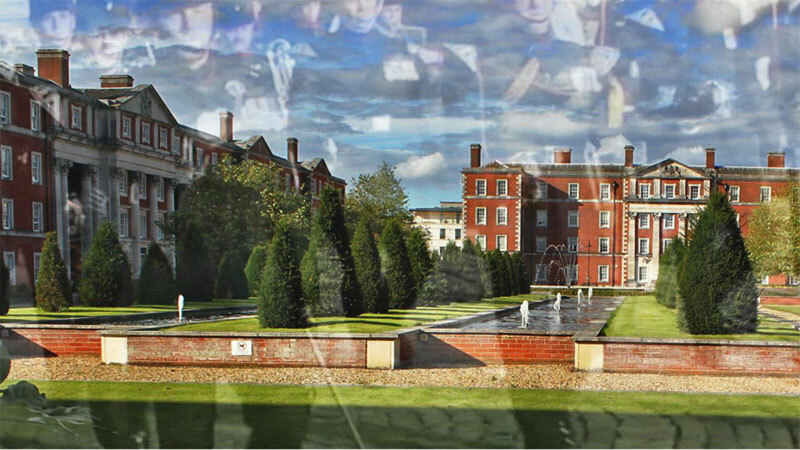 After attending St Edmund’s College, Ware, in 1854 Everard Phillipps sailed for India to join the 11th Bengal Native Infantry. When the Indian Mutiny broke out in 1857, Phillipps’ regiment was amongst the first to revolt. When the Queen’s proclamation against the insurgents came, he had to read it out as he could speak the native tongue. Riding boldly forward while the bullets whistled round him, he began to read the proclamation, but before he got to the end of the first sentence his horse was shot from under him, and he fell to the ground, himself wounded by a stray bullet. Undeterred, he sprang to his feet and read through the whole proclamation from beginning to end before taking cover. On the desertion of the Bengal Infantry, he then joined the 60th Rifles. He performed many gallant deeds, and in the months before his death he was wounded three times. At the Siege of Delhi, he captured the Water Bastion with a small party and was killed in the streets on the 17th of September 1857. 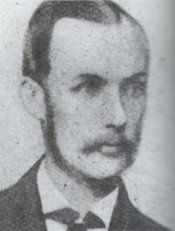 His death was recorded in the London Gazette on 18th of September. Ensign Phillipps was awarded the Victoria Cross fifty years after his death. London Gazette, 21st October, 1859. His VC is on display in the Lord Ashcroft Gallery at the Imperial War Museum, London. Same (John) Shaw VC (Unknown – 27th December 1859) was a Scottish recipient of the Victoria Cross, the highest and most prestigious award for gallantry in the face of the enemy that can be awarded to British and Commonwealth forces. Date-of Act of Bravery, 13th June, 1858. “Nowabegunge, 17th June, 1858. “I have to bring to notice the conduct of Private Same Shaw, of the 3rd Battalion, Rifle Brigade, who is recommended by his Commanding Officer for the Victoria Cross, An armed rebel had been seen to enter a tope of trees. Some officers and men ran into the tope in pursuit of him. This man was a Ghazee. Private Shaw drew his short sword, and with that weapon rushed single-handed on the Ghazee. Shaw received a severe tulwar wound, but after a desperate struggle, he killed the man.” ” I trust his Excellency will allow me to recommend this man for the Victoria Cross, and that he will approve of my having issued a Division Order, stating that I have done so. He later achieved the rank of corporal. 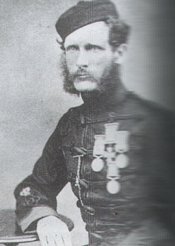 Henry Smith VC (1825 – 18th August 1862) was an English recipient of the Victoria Cross, the highest and most prestigious award for gallantry in the face of the enemy that can be awarded to British and Commonwealth forces. ” Lance-Corporal Smith most gallantly carried away a wounded comrade under a heavy fire of grape and musketry on the Chaundee Chouck, in the city of Delhi, on the morning of the assault on the 14th September, 1857. William Sutton VC (1830 – 16th February 1888) was an English recipient of the Victoria Cross, the highest and most prestigious award for gallantry in the face of the enemy that can be awarded to British and Commonwealth forces. 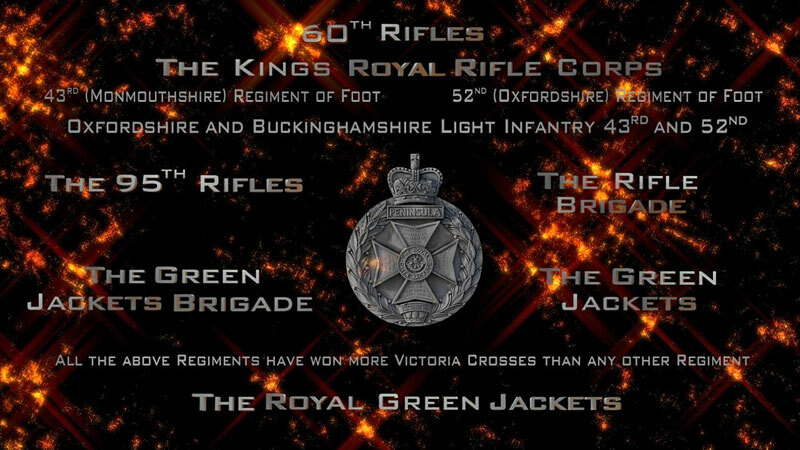 Sutton was about 27 years old, and a bugler in the 1st Battalion, 60th Rifles ( later The Kings Royal Rifle Corps, of the British Army during the Indian Mutiny when the following deed took place on 13th September 1857 at Delhi, India for which he was awarded the Victoria Cross. ” For gallant conduct at Delhi on the 13th of September, 1857, the night previous to the Assault, in volunteering to reconnoitre the breach. This Soldier’s conduct was conspicuous throughout the operations, especially on the 2nd of August, 1857, on which occasion, during an attack by the Enemy in force, he rushed forward over the trenches, and killed one of the Enemy’s Buglers, who was in the act of sounding. 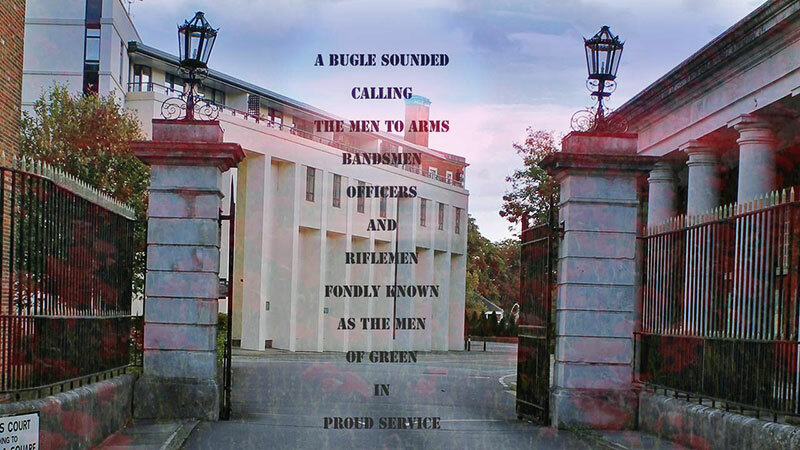 Elected by the Privates of the Regiment. Commemorating the valiant deeds of JAMES THOMPSON who was born in Yoxall in 1833[sic]. Served in the 1st Battalion 60th Rifles and was awarded the Victoria Cross in 1857 for his gallant conduct during the Indian Mutiny. (William) James Thompson VC (1830 – 5 December 1891) was an English recipient of the Victoria Cross, the highest and most prestigious award for gallantry in the face of the enemy that can be awarded to British and Commonwealth forces. In December 2009, a memorial plaque to Thompson and two other recipients of the Victoria Cross, John Henry Carless and Charles George Bonner, was unveiled at the Town Hall in Walsall, England. ” Commemorating the valiant deeds of JAMES THOMPSON who was born in Yoxall in 1833[sic]. Served in the 1st Battalion 60th Rifles and was awarded the Victoria Cross in 1857 for his gallant conduct during the Indian Mutiny. Samuel Turner VC (February 1826 – 13th June 1868) was an English recipient of the Victoria Cross, the highest and most prestigious award for gallantry in the face of the enemy that can be awarded to British and Commonwealth forces. ” For having, at Delhi, on the night of the 19th of June, 1857, during a severe conflict with the Enemy, who attacked the rear of the Camp, carried off” on his shoulders, under a heavy fire, a mortally wounded Officer, Lieutenant Humphreys, of the Indian Service. During this service, Private Turner was wounded by a sabre cut in the right arm. His gallant conduct saved the above-named Officer from the fate of others, whose mangled remains were not recovered until the following day. George Waller VC (June 1827 – 10 January 1877) was an English recipient of the Victoria Cross, the highest and most prestigious award for gallantry in the face of the enemy that can be awarded to British and Commonwealth forces. Waller was about 30 years old, and a colour- sergeant in the 1st Battalion, 60th Rifles (later The King’s Royal Rifle Corps) of the British Army during the Indian Mutiny when the following deed took place at Delhi, British India for which he was awarded the VC. 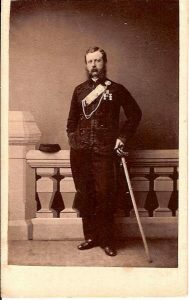 Brigadier General Sir Henry Wilmot, 5th Baronet VC KCB (3rd February 1831 – 7th April 1901) was an English recipient of the Victoria Cross, the highest and most prestigious award for gallantry in the face of the enemy that can be awarded to British and Commonwealth forces. He was also a Conservative politician. Wilmot was born in Chaddesden, Derby, the son of Sir Henry Wilmot (4th Baronet) and his wife Maria Mundy daughter of Edmund Mundy of Shipley Hall. 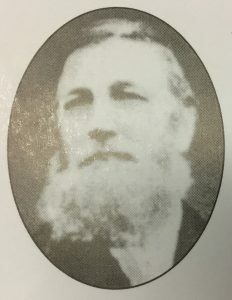 Wilmot sat as Conservative Member of Parliament for South Derbyshire from 1869 to 1885.